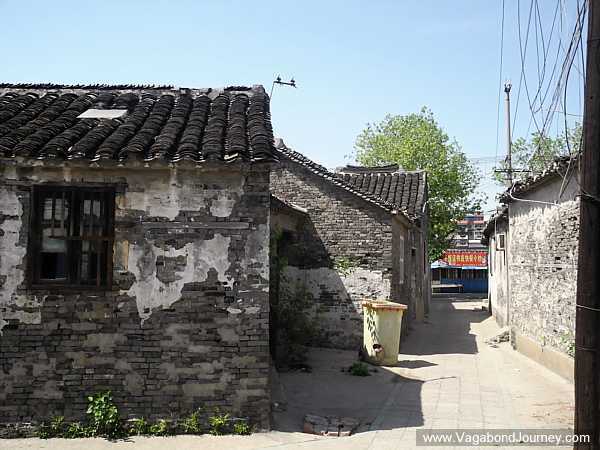 An old neighborhood in central Taizhou is having its 100th anniversary this year. To commemorate the centennial it is being demolished. It is being bulldozed, carted away in dump trucks, and its residents relocated to apartment complexes somewhere — the usual Chinese fare for anything older than a handful of decades. But what is surreal here is that neither a shopping mall, nor an apartment complex, nor a government building is going up in its place. 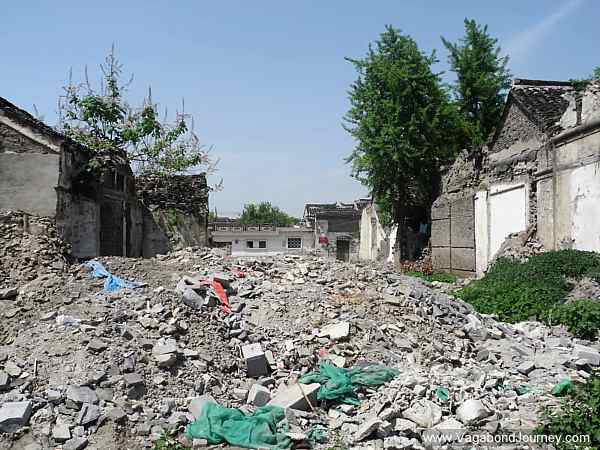 No, Taizhou is tearing down this old neighborhood to rebuild a virtual replica of it. Yes, upon the ruins of what was once a traditional district made up of narrow, meandering alleyways and old grey brick houses is going up a traditional style district of narrow, meandering alleyways and brand new, grey brick shops and restaurants. 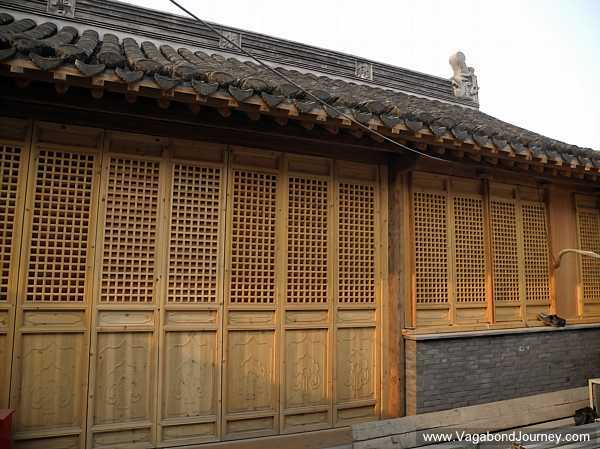 This area is not only being redeveloped, it is being upgraded: Traditional Taizhou Neighborhood 2.0. The updated version of this district has been dubbed Hu Jintao, after the former Chinese president that is said to have grown up there. 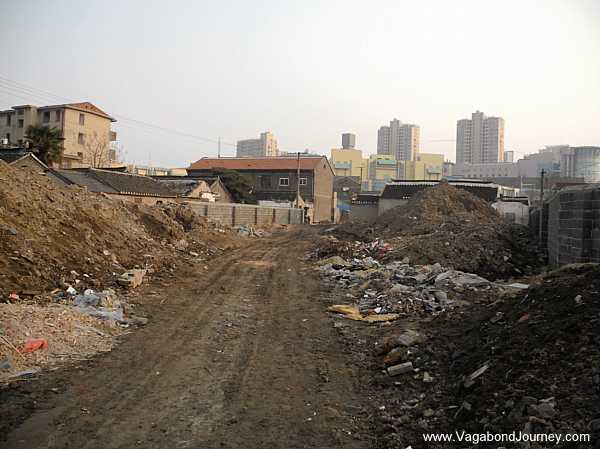 When I first set foot in Jiangsu Taizhou in March of 2012 this neighborhood was just starting to be redeveloped. There were still people living in it, and the demolition and construction crews were just starting to move in. I would walk through this community and chat with the old people, who seemed to be clinging to the homes they spent their lives in for as long as possible before being taken away by the tide of relocation. Most of the other residents had already been whisked away to brand new apartments in another part of the city. The elderly stragglers who remained were hanging on with grips that were slipping fast, as everything around them was being smashed to bits. 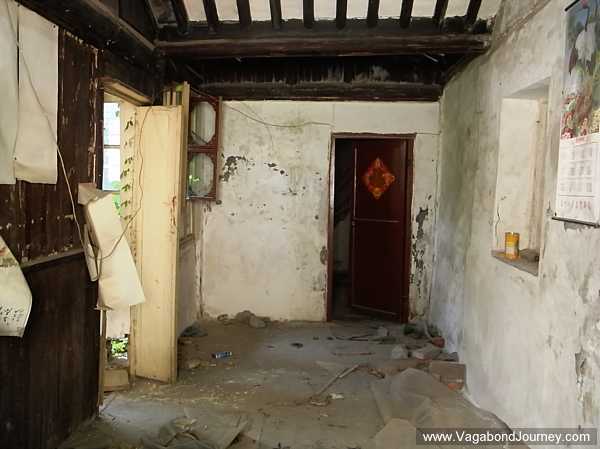 It is in the old communities like this one where the Old China continues to live on — but this is a way of life that’s being sledge hammered into oblivion. Each walk through this district produced interesting observations and remarkable experiences. It was here that I sat in on a practice session of a group of traditional musicians. It was here that I observed Buddhist funeral rites being performed in a home. It was here that I was regularly intrigued by an almost endless array of antique machines, tools, and implements still being used as they have been centuries. 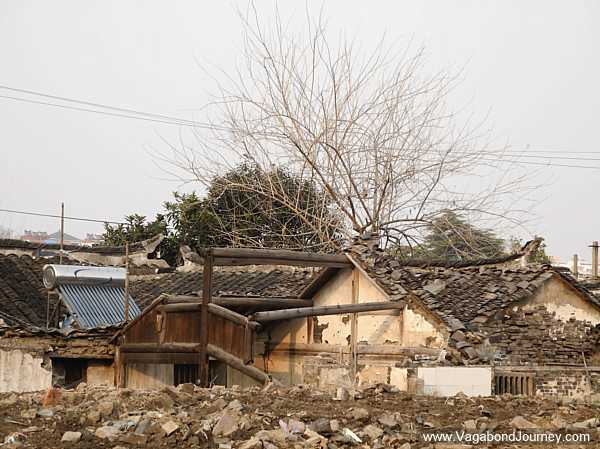 Now, a year later, more houses have become rubble heaps, there are not even any people here anymore besides construction workers and demolition crews — except for one old man. I met this old timer under awkward circumstances during one of my walks here a year ago. Every other house surrounding his had already been demolished, the ruinous piles rose around his home nearly as high as its rooftop. His house stood like a beacon of life in a plane of desolation and destruction, and I was drawn in. 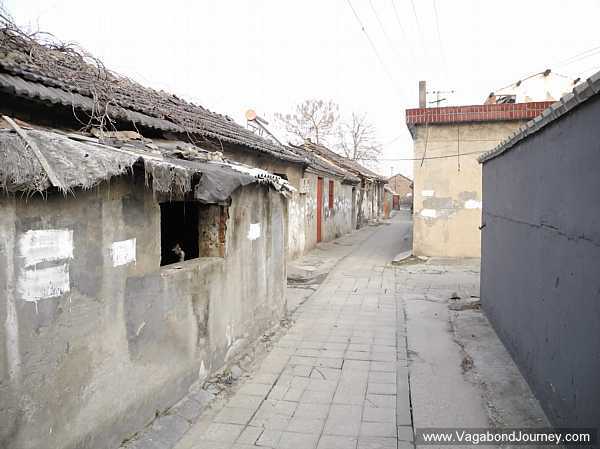 There were vines that twisted over the alleyway leading to his doorway and laundry was hanging from his window panes. I peered in through the windows at a home that was still functioning as though it wasn’t in the middle of a debris field. At the height of my trespass I turned around to find the old man standing right behind me, peering at me curiously. He waved. His facial expression hinted at amusement and surprise rather than offense or territoriality, and I offered a greeting and told him that I admired his home in Standard Mandarin. It didn’t seem like he understood my words, but his broad smile and nod seemed to indicate that I was being taken as more of an unexpected guest than an intruder. I was looking at a new kind of homesteader: rather than going out into the wilds and building an outpost of civilization he was making a stand in an urban area that everybody else had already been cleared out of. I had just asked her if there was a chance that the people who were living in this old neighborhood didn’t want to leave, and she wholeheartedly laughed at my sentimentality: of course they want to leave, the old homes are not fit for habitation and they were given new ones by the government. Relocation in China is an incredibly complex issue. I came into China with the typical Western mindset that relocation = bad, but that is not the case. Very often, the government coming into an area and seizing property is akin to a get rich quick, “moving on up,” scheme for the people who live there, as they are compensated very well. Though this practice is also often shrouded in corruption and empty promises, and it is not uncommon for the poor to be shafted in the deluge. So there is no broad singular model with which to view the ethics of mass relocation in this country, and each case should be taken as is. From asking around, it seems as if the people who once lived in this old neighborhood were compensated adequately. But something the cafe owner said stuck with me: the old homes in this old neighborhood appeared to have been beat beyond repair. The demolition crews that I watched at work were simply expediting a process that was already at an advanced stage. These houses were 100 years old, but they looked even older. To put it simply, the people living in these places did not seem to be winning the battle against natural decay, and many of their homes were falling down of their own accord. As I walked though this district once again, I could see that the walls of the buildings that were still standing were severely bowed, the stucco was chipping off in large chucks, and many of the bricks beneath were crumbling. The roofs of many of these houses were stooped, and some were actually caving in, perpetually at risk of being flattened by the force of gravity. The entire neighborhood was descending into ruins on its own long before a sledgehammer struck a brick. 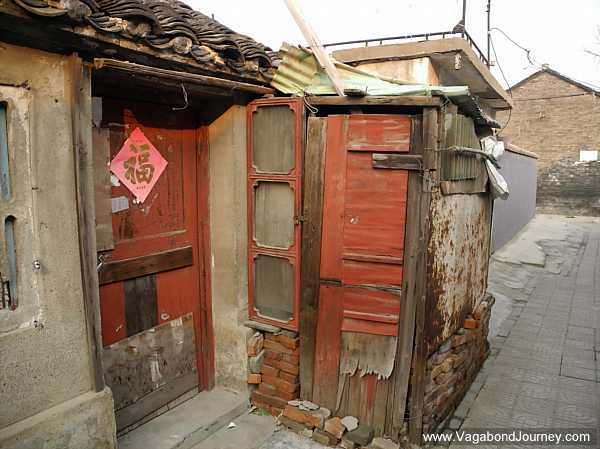 To be clear, these are not the proud and solid hutongs that cover districts of Beijing, they are the meandering alleyways of a geriatric ghetto that the modern era pretty much forgotten about up until recently when someone decided to come in and knock it all down. “We go into our apartments to hide,” one Chinese woman who grew up in an old community once explained the difference to me. 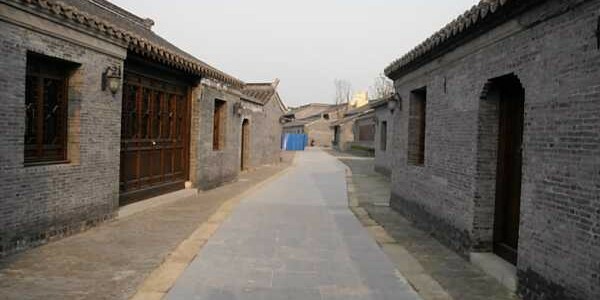 The replica of this old neighborhood will have solid walls, nicely carved wooden trimmings, indoor plumbing, and all the amenities that contemporary times can offer, but it will have none of the essence and life of the original. Though it is being built to look similar it will be for a completely different purpose: rather than being a place where people live it will be a place where people shop and dine. It is to be a knock-off of itself, a mock-up of the Old China where just a year ago was the real thing. “It is like tearing up an invaluable painting and replacing it with a cheap print,” Tong Mingkang, deputy director of China’s State Administration of Cultural Heritage, said about such architectural replication projects. A portion of the reproduction is at an advanced stage of completion, and the effect for those who knew the old neighborhood is dizzying. Each time I walk though here I see old people strolling through the two streets, marveling at how different it all is, smiling in exasperation, and pointing to this or that. Whenever I try to talk to them I get the impression that they are more in awe than angry or upset about the changes. Many even seem impressed. Pragmatism runs deep here. 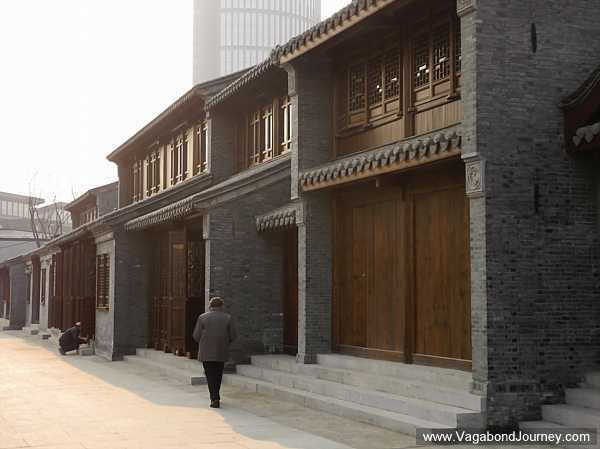 Though designed to look old, these new traditional style buildings will not be seen as a sign of backwardness, as the genuinely old ones were, but as symbol of modernity and progress. 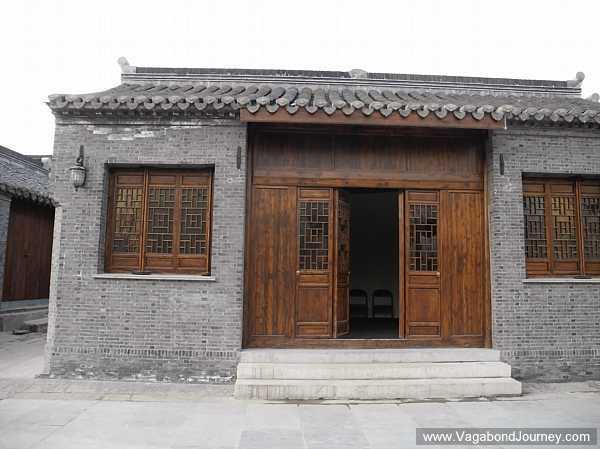 When Hu Jintao last visited Taizhou he was taken for a walk through the sparkling new reproduction of the neighborhood that is said to have been his childhood home. For some reason I doubt he was choked up with nostalgia. Though the old man who I surprised a year ago appeared to be. He was still there, though his house was wasn’t. He was sitting on a chair before a mound of bricks and debris that was once his home, staring off into the distance at a world long gone. I think the disconnect here is between those people who visit, and the people who actually live in those old houses. My grandmother used to live in just such a place. When a roof beam fell on her while she was sleeping one night, my father and uncles pooled together enough money to move her to an apartment.